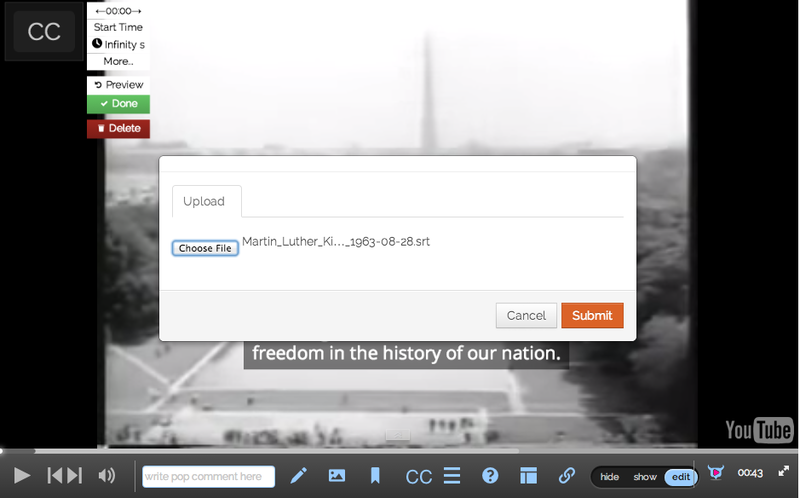 HapYak has a beta Closed Captions annotation. Users can upload an .srt file by clicking the "CC" button in the editor. If you would like access to this feature, email support@hapyak.com and we'll add it to your account. 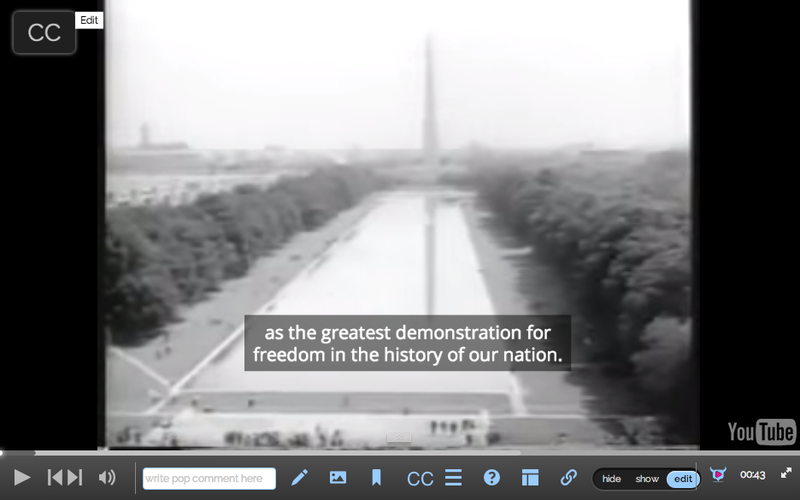 Additionally, HapYak works with videos that already have closed captions included on them. Simply ensure that the embed code or URL you use for your video source includes a reference to the closed captions. If needed, you can change the video source of any HapYak project by clicking the "Settings" button and clicking "Video Source".